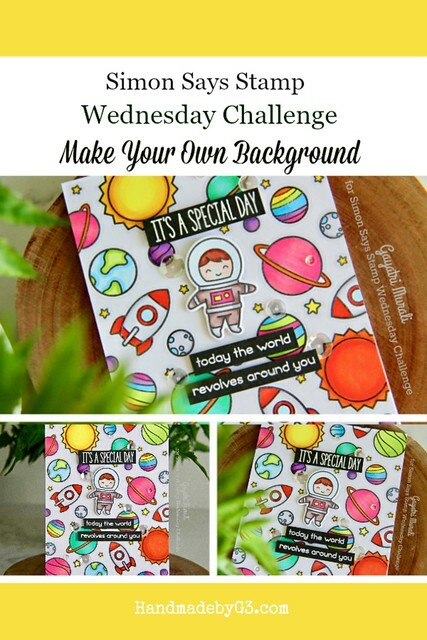 Thank you for joining us for the add A Die Cut Challenge and we hope you will all join us again this week too. We are showcasing Lawn Fawn Products this week. You don’t have to use them to join in but if you have them we would love to see them used. This theme is right up my ally! Making backgrounds is awesome. I really enjoy making them and they turn out differently everytime. For this challenge, I wanted to do something very simple. I simply stamped the images on the background and coloured using copic markers. 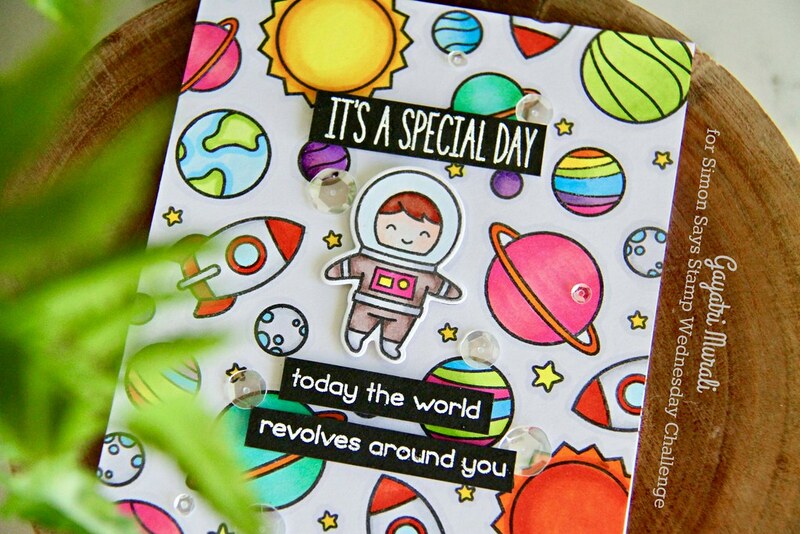 I used Lawn Fawn’s Out of this World stamp set here. I simply randomly stamped the images and watercoloured them using copic marker. It was calming colouring images. I enjoyed it. I also outlined the images with gray marker pen for shadow effect. 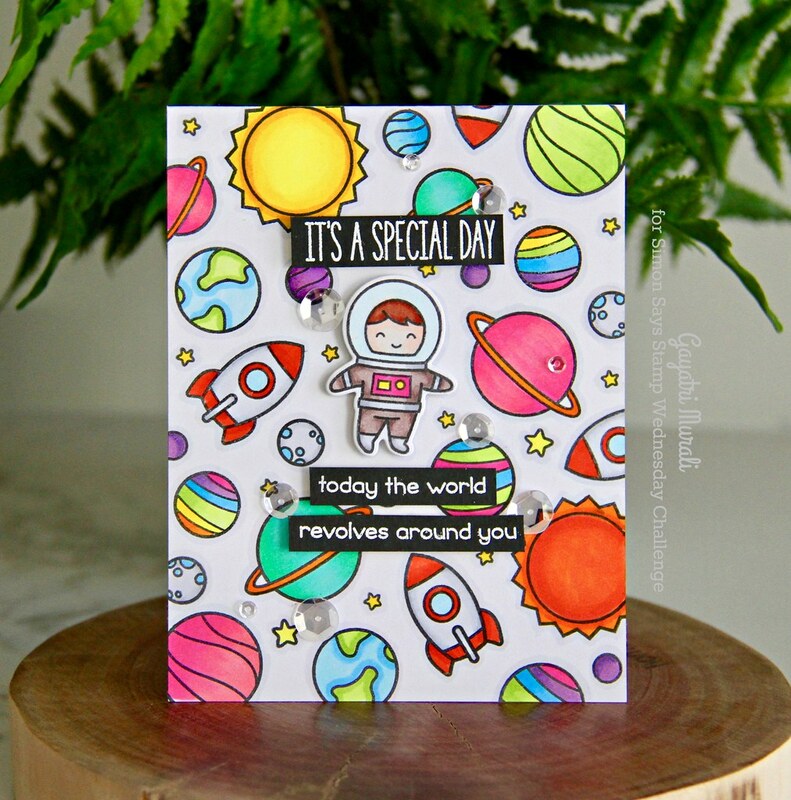 For the focal point, I popped up the astronaut image by stamping the image on a scrap piece of paper, copic colouring and die cutting using the coordinating die. The sentiment is white heat embossed on black strips of cardstock and adhered using foam adhesives. Just to bring the card together I added sparkly clear sequins. If you like to pin my image on to Pinterest board, here is the image. 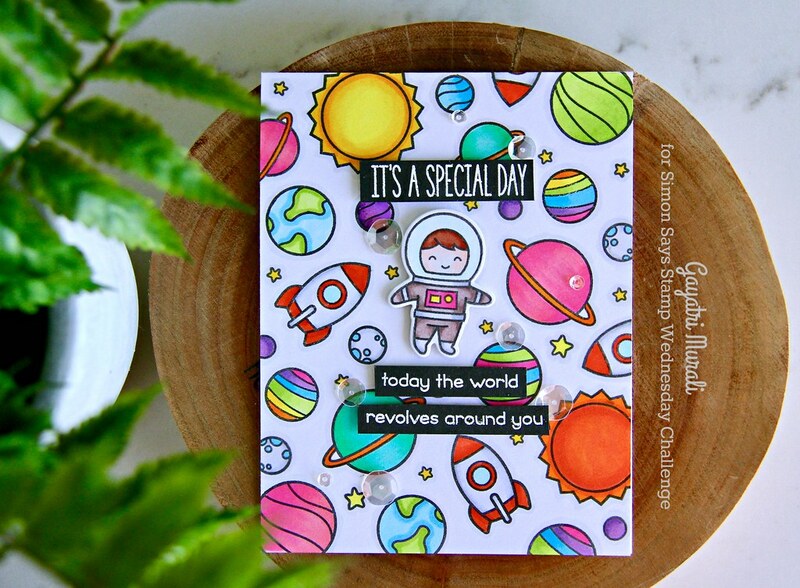 Thanks for stopping by and I cannot wait to see what you make for the challenge. So colorful and fun, Gayatri! Love, love, love the colors in the background. Stunning coloring! 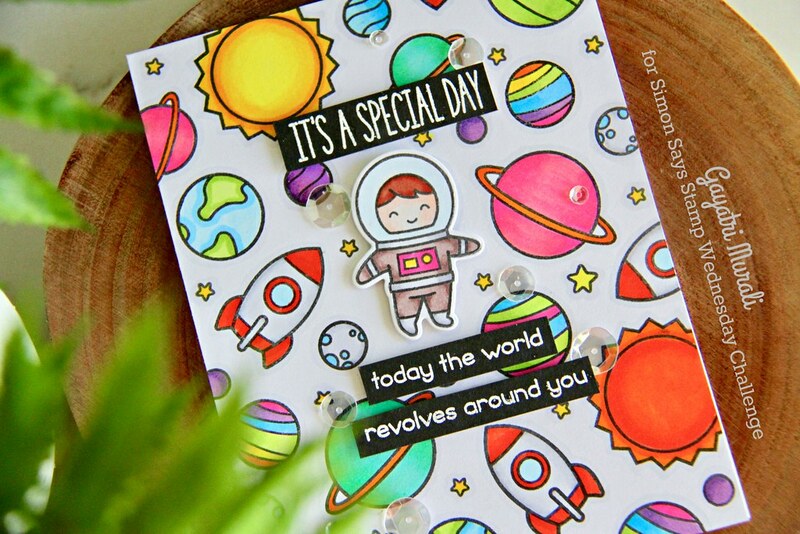 Wow–love the colors and the sentiment. This card would delight anybody who received it! Love the eye -catching colors! Your coloring is superb, Gayatri! Well done! Love the bright and happy palette, Gayatri! Totally pretty!! Adorable background!!! Such a fun sentiment for a birthday! Too cute!